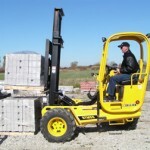 Sellick lift trucks are the best choice for outdoor rough terrain and other specialty applications. 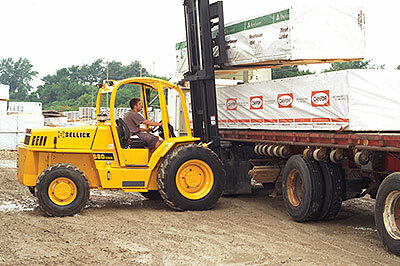 Sellick has a broad line of forklifts models that feature environmentally friendly diesel engines, and a wide range of lifting capacities. 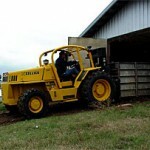 Their rugged trucks are suitable for the toughest of applications including lumber yard, foundries, and scrap yards. It can take on your tough application! 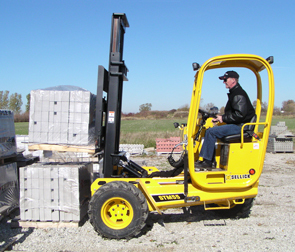 Contact your Forklifts of Toledo sales rep for a complimentary application survey and more information on the Sellick line. 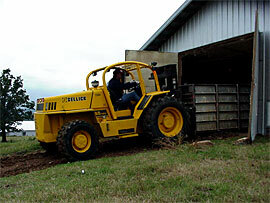 Poultry Series – low profile lift truck designed specifically for the poultry industry. 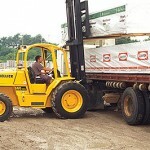 forklift model is easily mounted on the back of a truck or trailer, allowing the user to carry building materials and place them exactly where the contractors need them. JCB Teletruk – This truck has a variable reach allowing you to easily unload trailers from one side or to reach over obstacles. Some models come with high reach boom, and bucket attachments.